Our first stop of the day was Wat Trimit, a fairly new temple in Yaowarat (Chinatown), home to the famous Golden Buddha. 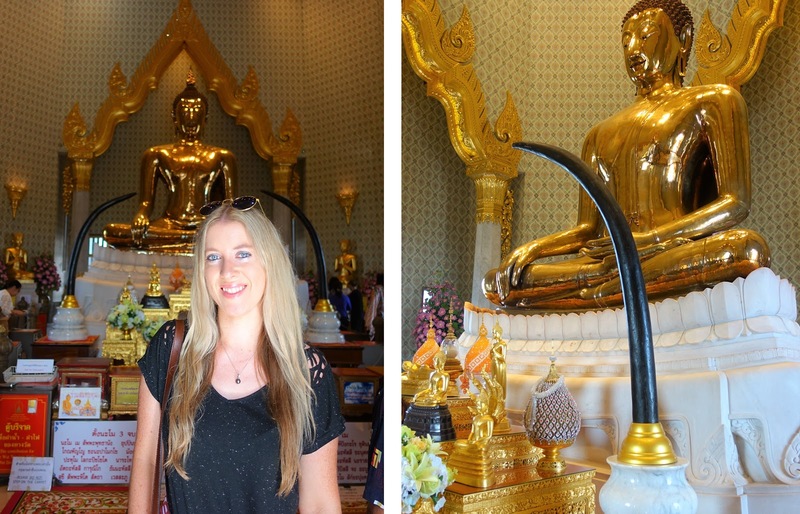 It is the world’s largest solid gold seated Buddha, at three metres high and weighing five and a half tonnes. There were many locals inside paying their respects. 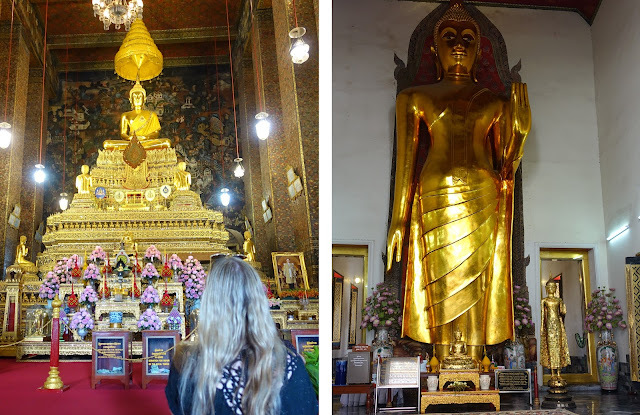 The Golden Buddha was originally covered with plaster to conceal it from the invading Burmese and was only rediscovered accidentally about 40 years ago. 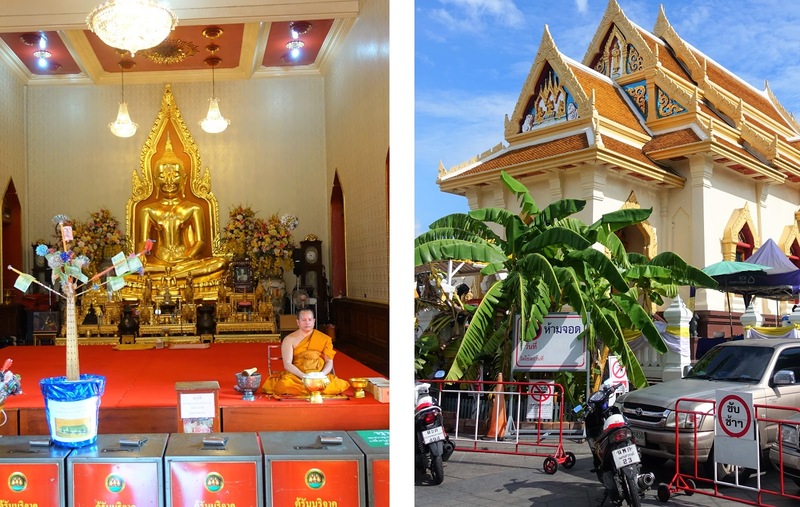 In 2010, Wat Trimit’s new building was officially opened to the public and the statue was moved there. I had previously visited Wat Pho 4.5 years ago, but I was so excited to return. 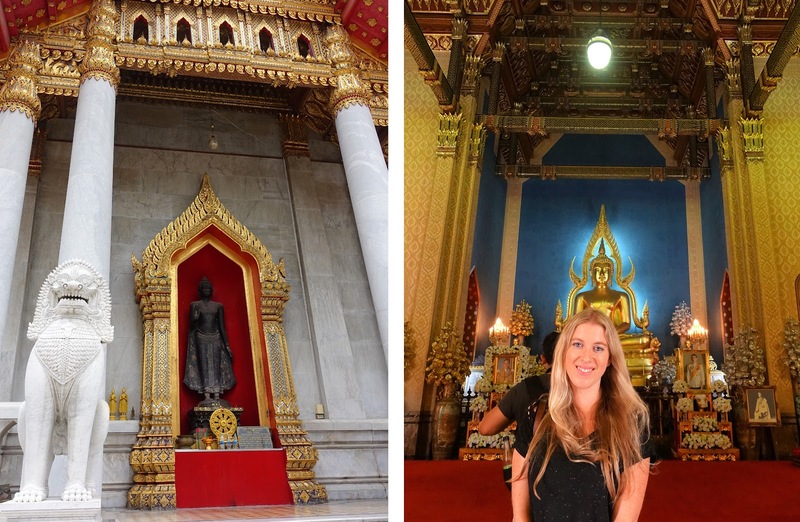 It is my favourite temple in Bangkok and I’m pretty sure I was even more wowed by it the second time. 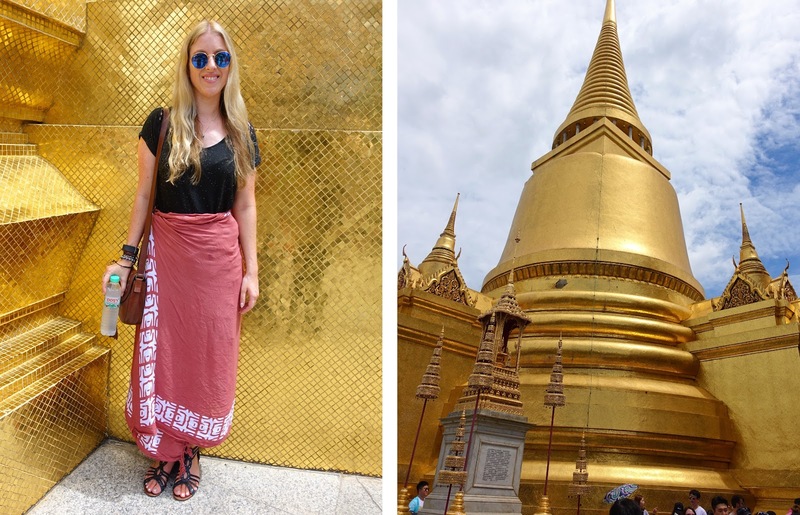 The architecture is simply amazing and I must have taken a thousand photos of the beautiful pagodas (tiered towers) which are artfully decorated in colourful tiles and ceramics. 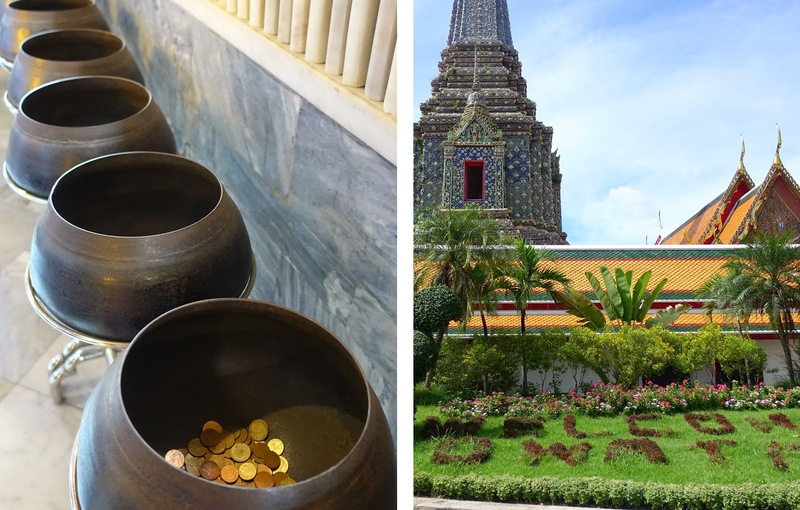 Founded in the 16th Century, Wat Pho is Bangkok’s largest and oldest temple. It was also the first open university of Thailand, where courses in traditional medicine and the first school of massage were born. 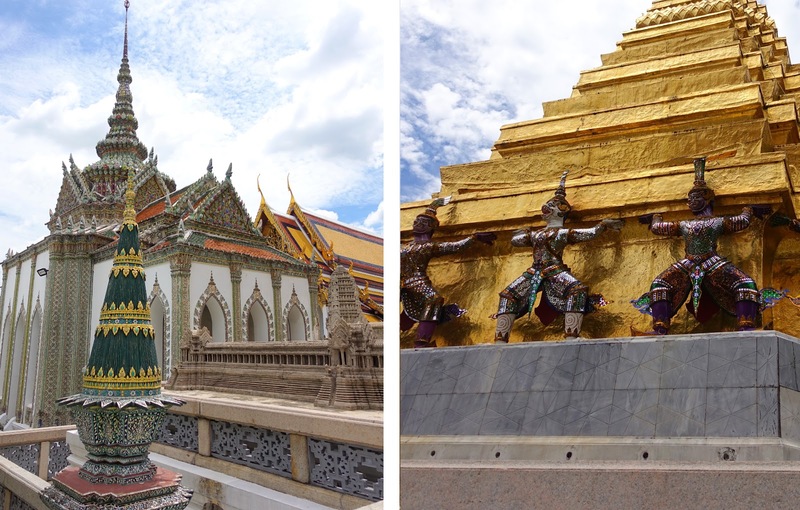 Built in 1782, the Grand Palace is undoubtedly the city’s most famous landmark. 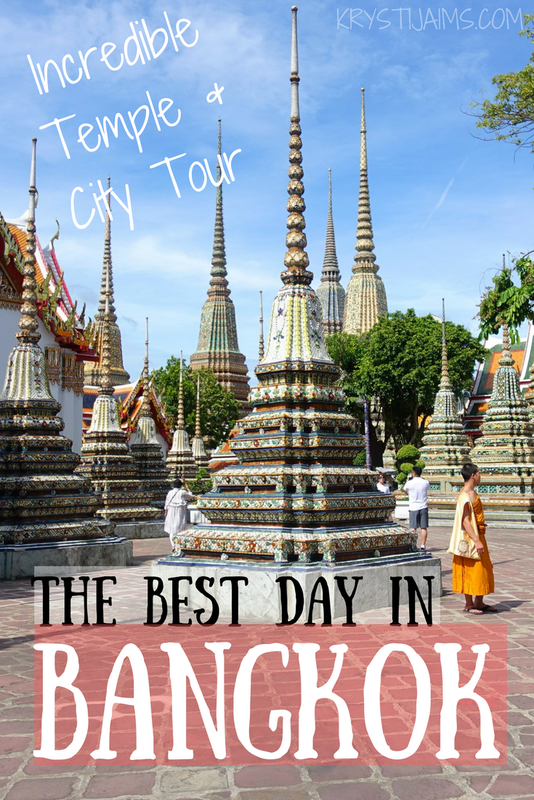 It is known as the heart of Bangkok and is the official residence of the Kings of Siam. 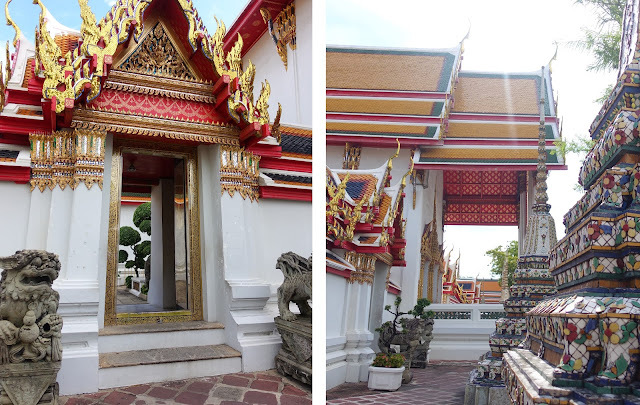 The intricate detail and beautiful Thai architecture are incredibly dazzling. Within the palace complex are many impressive buildings and sacred sites including Wat Phra Kaew or Temple of the Emerald Buddha, which contains a small but very famous Emerald Buddha that dates back to the 14th century (we weren’t allowed to take photos). It was now lunch time and as I had told Jen that I loved the local food, she took me to her own favourite spot for lunch. 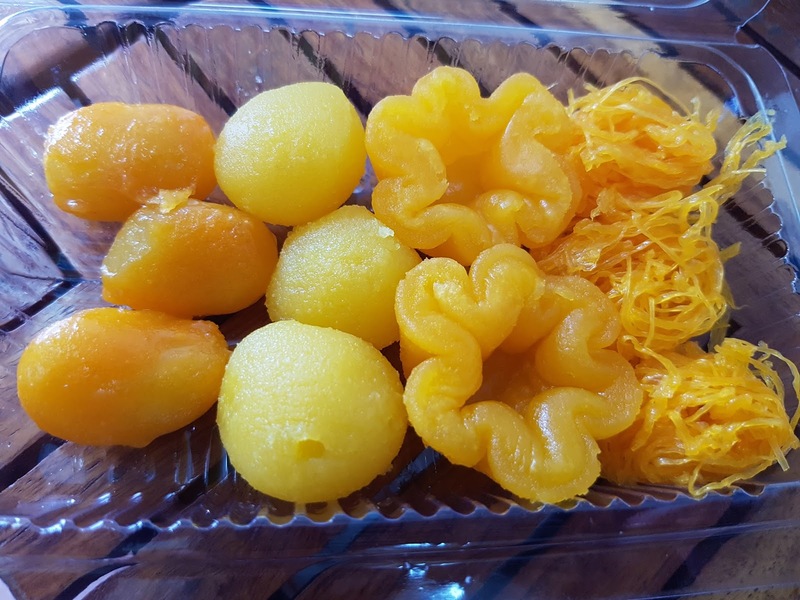 She said most people prefer to go to a restaurant where there is a large buffet with many options. 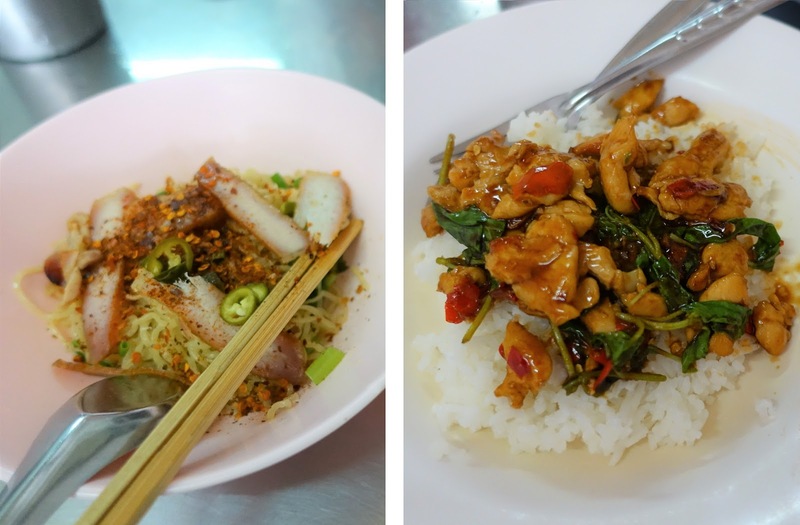 I was thrilled to be taken to this local hole-in-the-wall place and she ordered two different dishes for me to try. Both were so fresh, full of flavour and absolutely delicious (don’t worry, I didn’t eat all of both of them!). We passed through the well-known backpacker’s area Khao San Road before heading to Ratchadumnoen Road (The Royal’s Way). 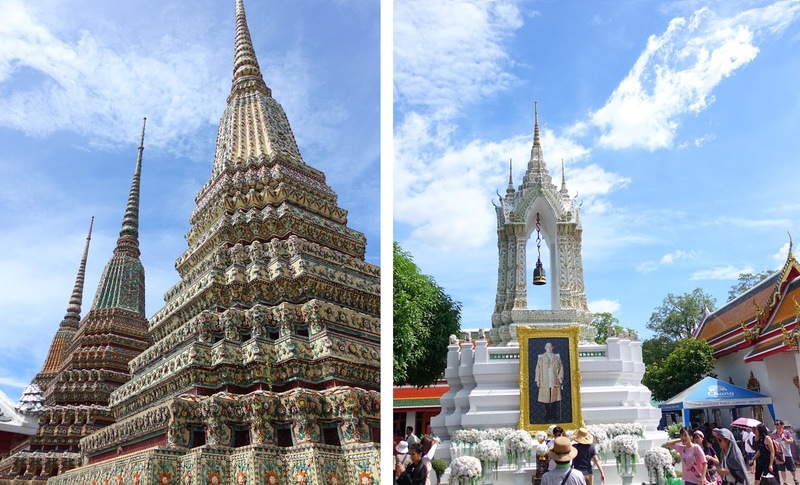 En route I got to see more significant temples and architectural buildings, including the City Pillar Shrine, National Museum, Thai Boxing Stadium, Anantasamakhom Palace, Parliament House, Dusit Zoo and Chitlada Palace King’s Residence. 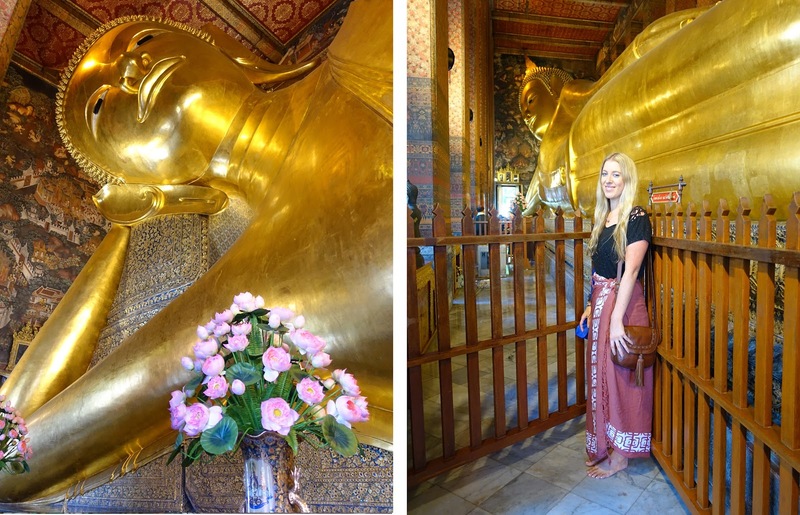 I learned so much about the culture of Bangkok and its fascinating history all throughout the day. 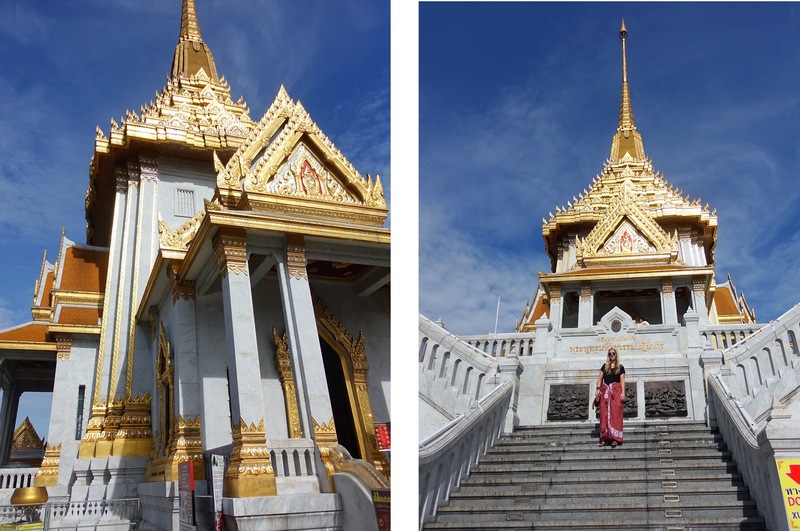 My tour with Oriental Escape truly enriched my time in Thailand’s capital city and I 100% recommend this tour and company to others. It’s an excellent option for families, friends and groups travelling together, couples and even solo travellers like me.